This new release into the Mystery P.I. series follows the general principles of these games. 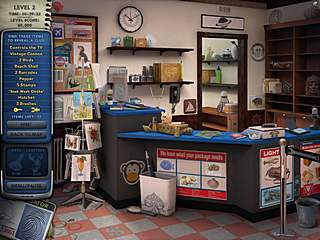 As always you get to solve some kind of a crime, but it doesn't mean that it is going to be an intense hidden object gaming. If you ever played any of the Mystery P.I. games, you should know what to expect here. This time around you are to solve another crime before it causes too much trouble. You are to find out who is responsible for the fake bills all over a tourist town. The fall season is just about to begin and the town needs no bad rumours in media. That's your assignment for this game. The game is one of those where you don't need to focus a lot on what you are doing there. 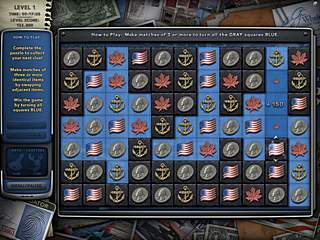 I mean, of course, you need to search for the items and also do the matches, but the game is not all that overwhelming neither with its story nor with its puzzles. You don't get too much of a story telling or interesting characters to interact with. What you do get a lot here is the hidden object levels. You go from one location to another. So if this is your favourite part in the casual game, you will enjoy the game a lot. Those levels are full of many items for you to find. Apart from the items on the list you can also search for certain bonus items that will get you extra points and unlock extra modes. Then there is a great number of match-three games to play, which serves as a great change. All in all the game is bright and attractive with many fall landscapes and nice sounds at the background. This is Mystery P.I. : The Curious Case of Counterfeit Cove review. Download this game here.